The newest volumes in the Evangelical Exegetical Commentary (EEC) series are here: Ephesians and Jude! The EEC was created for a digital world. Other commentaries may have a page limit to consider or a back cover to limit the coverage—not so with this series. These volumes are filled with content that otherwise might be spread across a number of books. In fact, with an estimated page count of 782, Herbert Bateman’s volume is quite possibly the longest commentary on Jude ever written. Bateman argues that the letter was written by Jude the brother of James (and Jesus) to Christians in Judaea just before the Jewish Revolt of AD 66–70. The ungodly people in Jude’s letter (Jude 4) are then Judaeans who are fomenting a revolt against Rome. While this setting may seem far removed from the twenty-first century, Bateman thoughtfully brings the text into the present day. He suggests application points for each section of the letter, often telling stories of modern-day Christians who are wrestling with tough issues as they relate to the wider culture. These volumes are written with biblical theology in mind, helping you apply the text to your life today. Devotional implications and practical applications are included so that you can learn from the ancient context found in the Scriptures. S. M. Baugh’s volume on Ephesians is a perfect example of the type of critical scholarship that is made accessible in this series. Baugh identifies the main theme in Ephesians as “unity in the inaugurated new creation.” He then walks the reader through the indicative first part of the letter, which sets forth various aspects of the Christian faith, and the imperative second part, which calls readers to a lifestyle based on these truths. Along the way, Baugh examines ancient sources to provide a first-century perspective, while also interacting with recent scholarship and ultimately asking what this letter means for the modern-day believer. 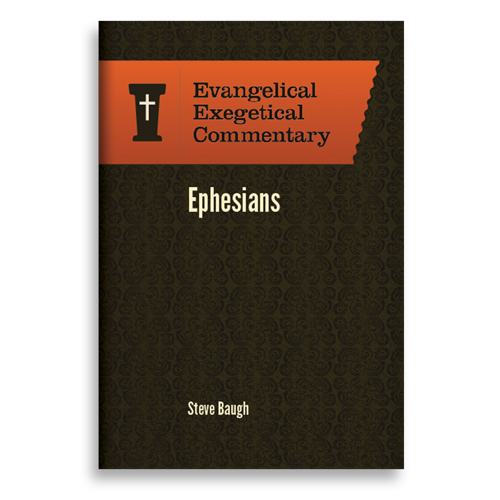 Baugh, who wrote the study notes on Ephesians for the popular ESV Study Bible, has now given us an in-depth commentary on Paul’s letter to the Ephesian church. In it, he digs deeply into the ancient historical and literary context of the letter, arguing that the main theme of the letter is “unity in the inaugurated new creation.” For the Ephesians and for us, this begins from the fact that the ascended Messiah, Jesus, is totally sovereign over every other power in the universe. Faith in his finished work on the cross is what justifies us and makes us light, and enables us to walk in the light (Eph 5:8). If you’ve already purchased the full, 44-volume EEC set, Ephesians by S. M. Baugh and Jude by Herbert Bateman, should already be available in your Logos library. If you haven’t yet invested in the EEC yet, but are only interested in the ten volumes that have been released (including Ephesians and Jude), this small collection is also available. Dig into the word of God with these two, brand-new EEC volumes: Ephesians and Jude!